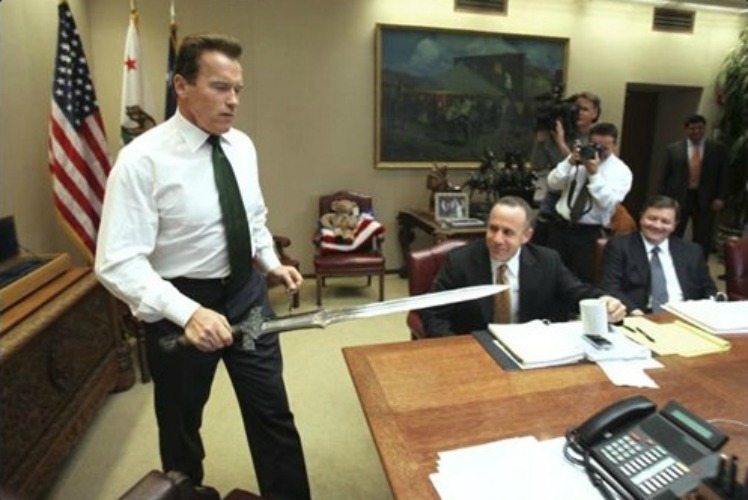 When Schwarzenegger was governor of California, he displayed the sword on the wall behind his chair in the Reagan Cabinet Room. During the crucifixion scene, often considered one of the most iconic scenes in the movie, a real buzzard was used to peck at Schwarzenegger’s wounds. 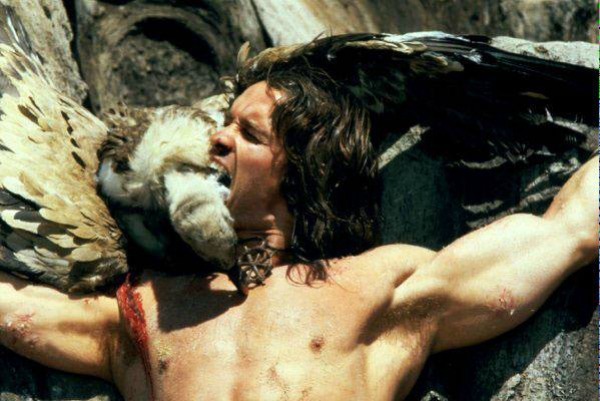 When Conan bites into the neck of a buzzard, that is a real, dead bird you see Arnold sinking his teeth into. The crew had him rinse his mouth repeatedly to prevent disease. 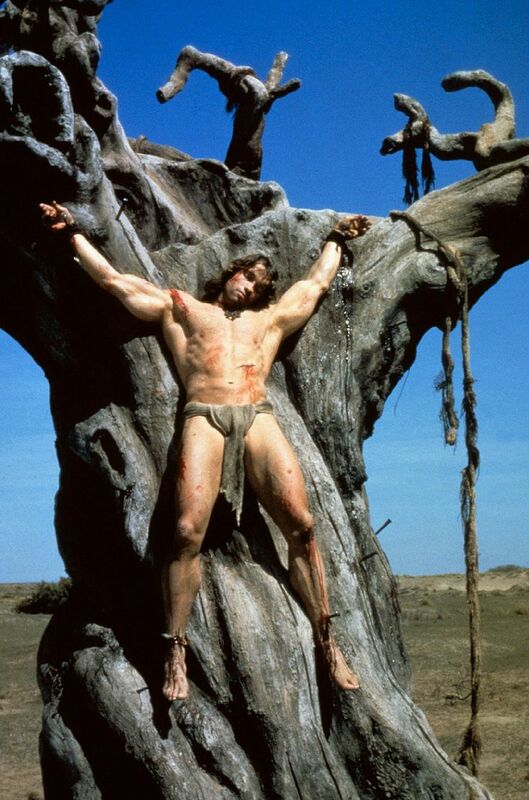 The Tree of Woe where Conan was crucified was made of plaster and Styrofoam mounted on a turntable. This allowed the crew to rotate the tree and maintain the same shadows in the shots while filming throughout the day. Schwarzenegger sat on a bicycle seat mounted on the tree so he could keep the same position and preserve the realism of the shot. 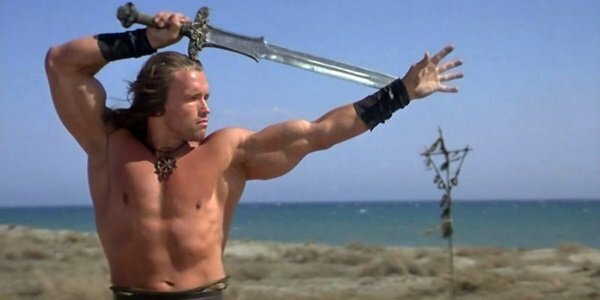 Schwarzenegger had horse riding lessons, martial arts training, and specialist sword training for the movie. He spent two hours a day for three months learning how to wield an 11-pound broadsword. He also learned climbing techniques and how to safely fall 15 feet to the ground. His trainer was given a part in the movie as a thank you for doing such a great job. At the time of release, Conan the Barbarian was considered to be excessively violent by some critics. The movie had already been trimmed by 11 minutes to satisfy the studio executives who asked for several cuts. 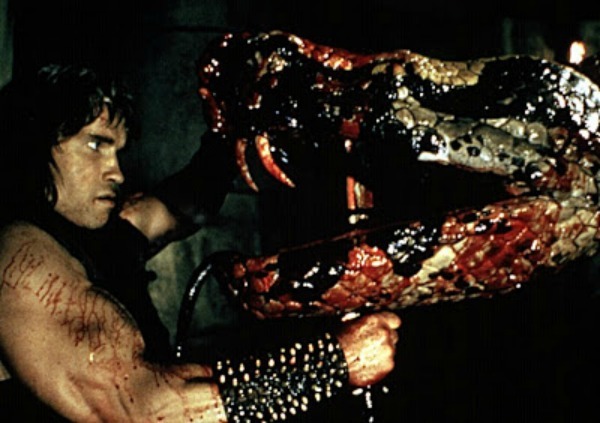 Scenes that ended up on the cutting room floor included Conan chopping off the arm of a pickpocket in a street market and a close-up of the severed head of Conan’s mother. 89 Life Hacks that Make Life Fantastic!